If you know of anyone needing denture repair, Manchester based Church Road Dental and Cosmetics is the place to go. Thanks to a highly experienced team coupled with the latest technology you can be assured of a set of dentures that are not only lightweight and comfortable but incredibly life like too. All denture repairs Manchester are carried out with the patient in mind. This means that they're fitted and coloured to match the natural shading of both gums and teeth, while remaining firm and comfortable in the mouth. Some people find the prospect of dentures a daunting one as they envisage heavy uncomfortable sets of false teeth that limit both speaking and eating ability. However when it comes to modern day dentures, Manchester residents couldn't be further from the truth. In fact today's dentures are made from a range of acrylic resin, metals, and dental porcelain, designed to maximise comfort and fit. As such, for many people dentures are extremely beneficial, especially in those looking for alternative forms of teeth replacement without having to go through invasive surgical procedures. Why not simply leave the gap? Well of course you could. However when teeth are missing it kick starts a chain of events that can result in further missing teeth. Therefore if you've lost one or more teeth and don't want to lose any more, then you really should be replacing them; either using partial dentures to replace a few teeth, or full dentures to replace entire rows of teeth. Loose, damaged or ill-fitting dentures can cause much pain and discomfort as well as eating and speaking problems. It can knock your confidence as well as your self esteem. For this reason we urge you to come and see us for denture replacement or denture repair in Manchester. Remember nobody should ever have to suffer with uncomfortable teeth, so contact us for denture repairs Manchester today. 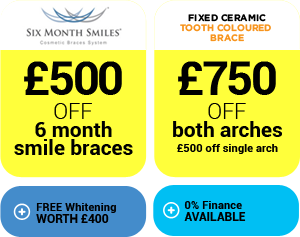 To book an appointment, visit our website at www.cheadlehulmedental.com or contact us directly on 01614 860 743 today and let us show you exactly what we can do.